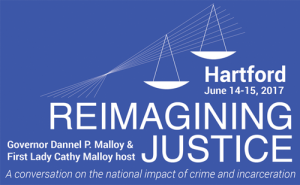 PRESS RELEASE: Hartford, CT – (June 14, 2017) – Family ReEntry, a nonprofit leader that assists families affected by the criminal justice system, and Shared Studios, a design technology company, will be presenting the new Prison Portal Project during the Connecticut Governor’s Reimagining Justice Conference in Hartford, June 14-15. 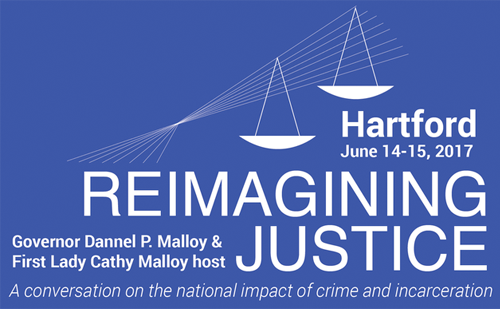 Studios, and Jeff Grant, Executive Director of Family ReEntry, will present the new Prison Portal Project, including a video demonstration of the real-time, face-to-face interactive technology, on Wednesday, June 14th, at 11:15 a.m. as a part of the special conference held at The Hartford Marriott Downtown (200 Columbus Boulevard in Hartford). returning citizens, and their families and friends. placed within the confines of a correctional facility and a second portal anticipated to open in downtown Bridgeport. This will allow families to directly communicate with their loved ones in prison in an immersive environment “as if they were in the same room,” saving them time off from work and school, costs in travelling to remote prison locations, etc. Additional portals are being considered for presentation around the state later this year and in 2018. Suggested sites for the new portals include New Haven, Hartford, Waterbury, Stamford and New London, among other locations. The Prison Portal Project presentation is in addition to Family ReEntry’s booth exhibit throughout the conference, where attendees can discover all of the programs and services that the organization provides. Family ReEntry is a 501c3 nonprofit, which was founded in 1984 as a reentry support group for men at the Isaiah House in Bridgeport. It has since grown to include policy advocacy, and intervention, prevention, in-prison, reentry, fatherhood and youth & family programs. Over the past 33 years, effective advocacy efforts and community-based programs developed by Family ReEntry have significantly reduced the likelihood that clients will re-offend, be re-arrested, or be re-incarcerated. Its programs provide a spectrum of services designed to disrupt the intergenerational cycle of incarceration. Family ReEntry addresses the specific needs of each client and their families through individualized case management and support services. 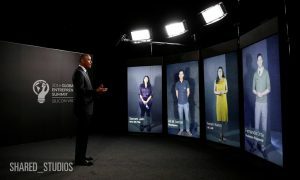 It works to create a positive social network for each client, helping make their transition from prison back into the community a successful, self-sufficient one, while strengthening their families and the community. Family ReEntry operates its programs in strategic locations that encompass eight municipal regions and judicial geographic areas, two parole districts and five prisons. Approximately, sixty-percent of those served by Family ReEntry are from greater Bridgeport – Connecticut’s largest city. The organization has offices in Bridgeport, Norwalk and New Haven, CT. Programs are also held in Stamford, Waterbury, Derby, New London and Norwich, CT.
More information is available at www.FamilyReEntry.org and on its social media including, Facebook, Twitter, Pinterest, Instagram and YouTube.